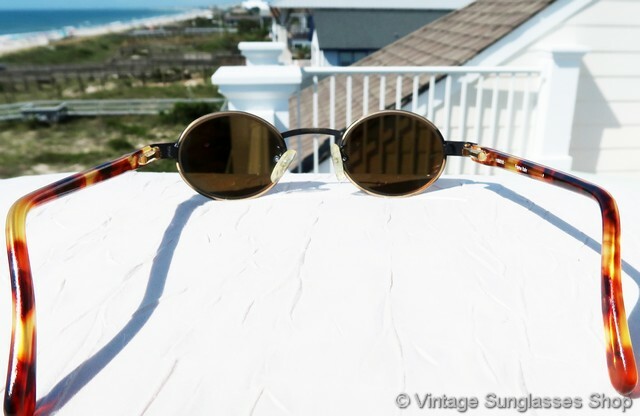 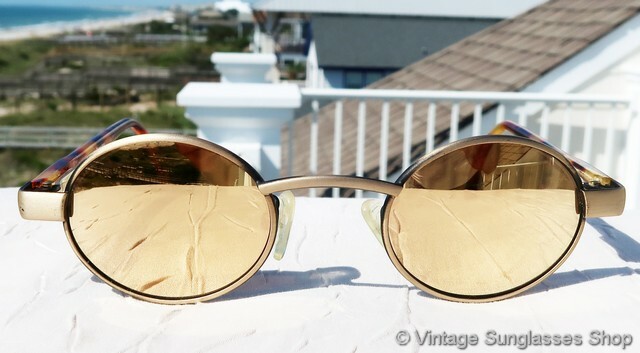 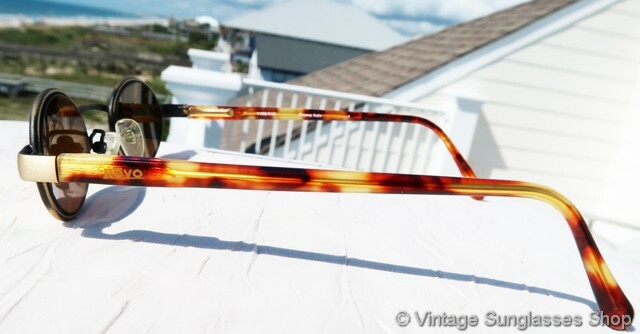 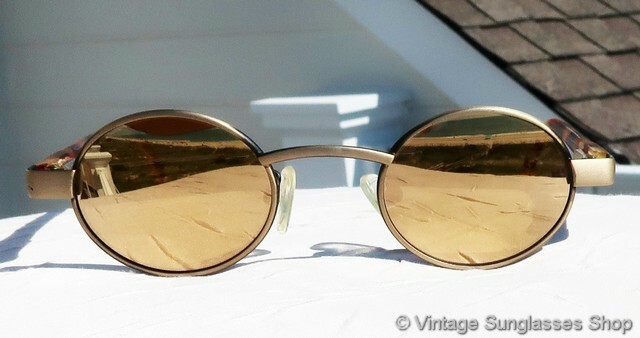 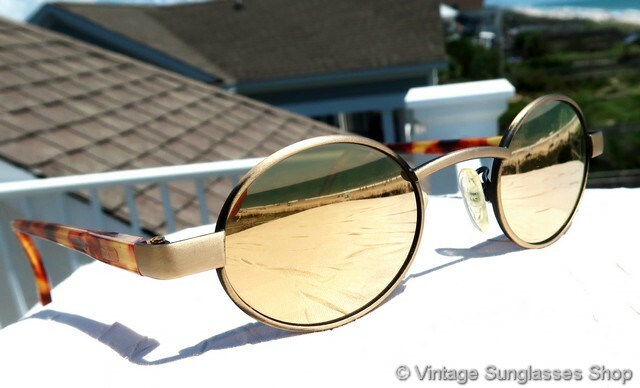 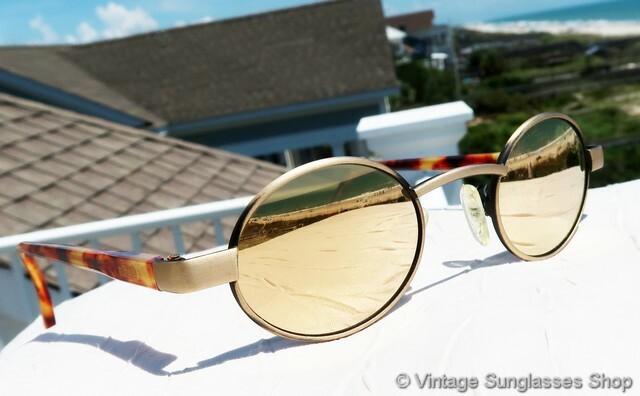 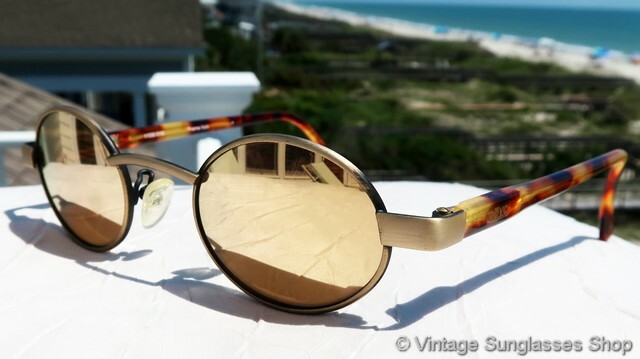 Revo 1106 010 gold mirror sunglasses are one of the rarest of all vintage Revos, with gold mirror lenses and tortoise shell ear stems. 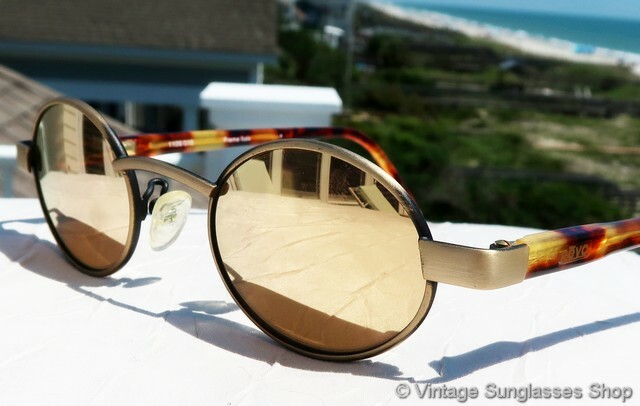 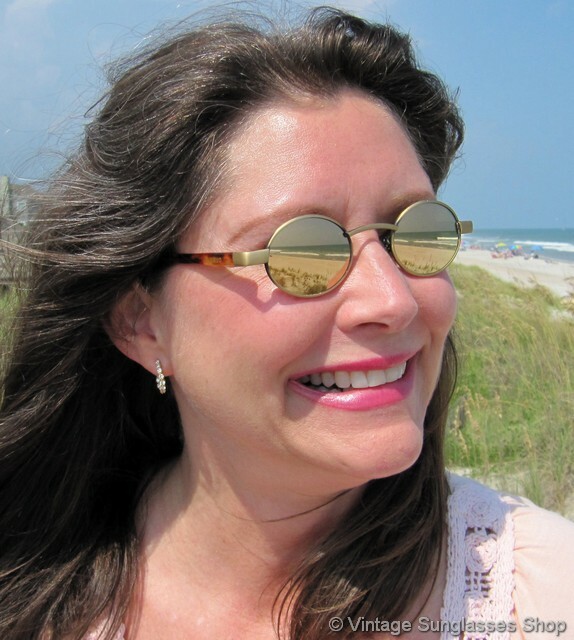 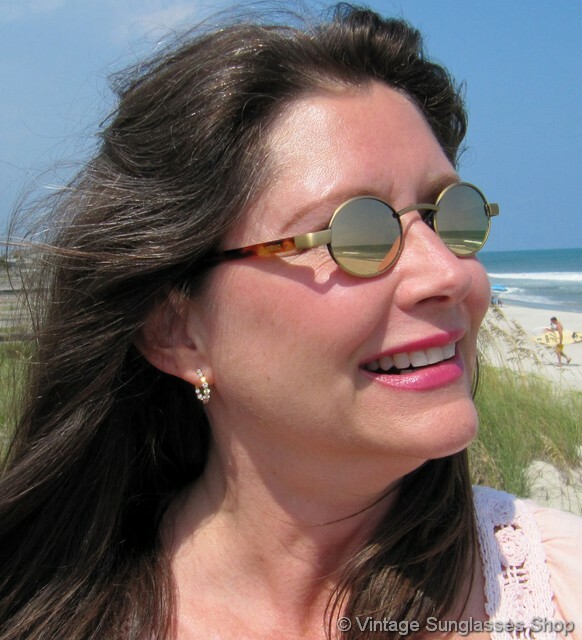 Revo gold mirrored lenses are highly reflective with optical technology pioneered in the NASA space program, and they provide 100% UVA and UVB glare protection. 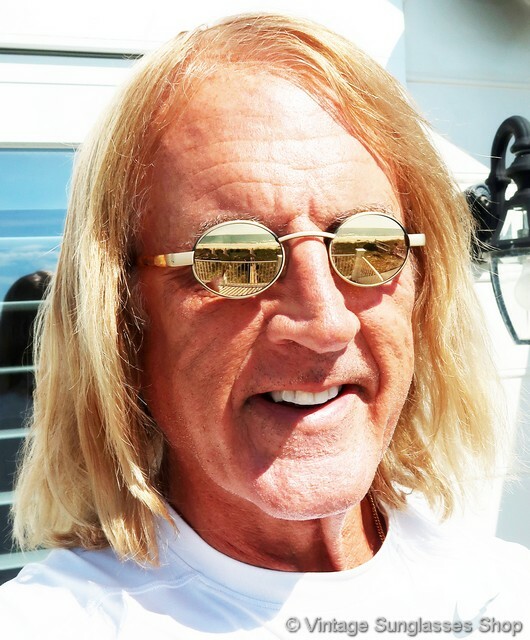 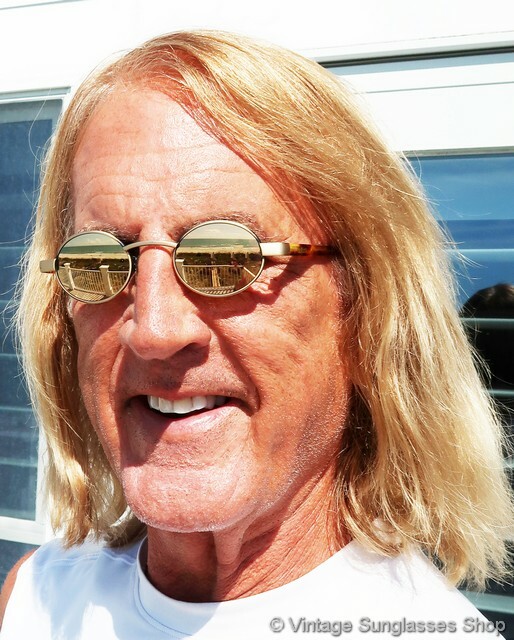 Aside from the obvious cool factor, Revo 1106 sunglasses from the Revo Shapes collection are one of the smaller frame and lens sizes Revo ever produced and thus perfect for those with a smaller face size or those who like a John Lennon sunglasses look. 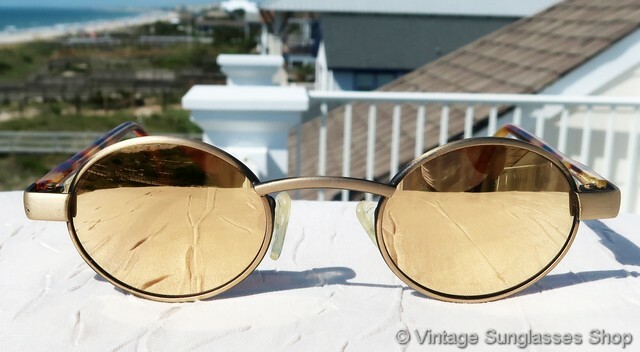 Revo 1106 sunglasses are perfect as men's or womens' sunglasses, with frame measuring approximately 4.75" temple to temple and gold mirrored lenses measuring approximately 1.375" x 1.25" at the widest points. 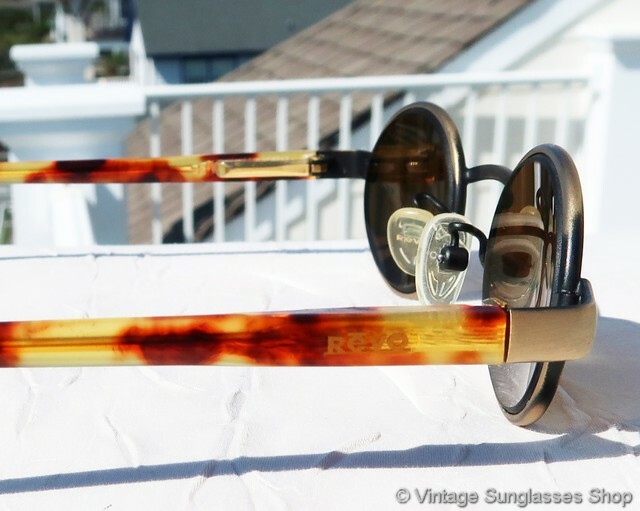 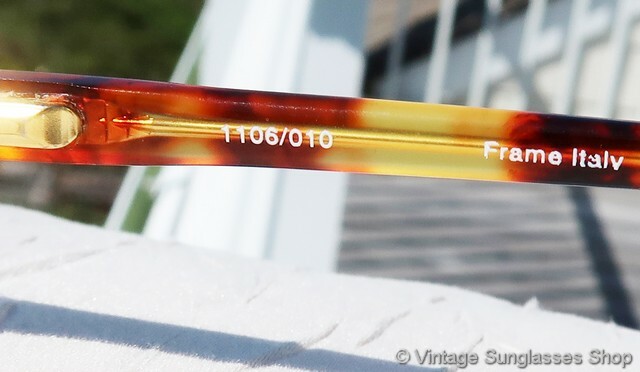 The Revo logo is embossed on each tortoise ear stem near the spring loaded hinge points and the inside of one stem is marked 1106/010 Frame Italy CE, part of the collection of a well known sports figure and long time customer of the Vintage Sunglasses Shop.